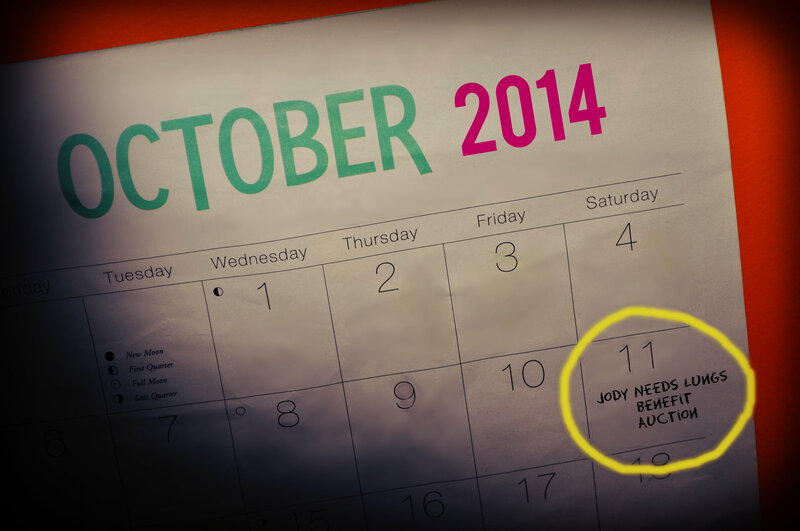 October 11th, 2014. Mark. Your. Calendar. This is the date that has been selected for our biggest fundraising effort to date, including a live and silent auction. We are super excited for this day, and hope you will join us. This event has the potential to make a big impact in pushing us closer to our fundraising end goal, but we can’t do it without your attendance. Please mark Oct. 11th on your calendar and plan to attend. This event includes family fun, so bring your whole family with you. A service: photography, lawn mowing, snow removal, hair cut/color, or maybe you enjoy cooking and would be willing to auction off 12 homemade meals (one/month for a year for a family of five or less). The sky is the limit. An item: Are you a talented artist, a business owner, a vacation holder, an antique collector? If you have an item that you believe would do well at an auction, we welcome your gift. An experience: Do you love to entertain? Could you host a dinner party in your home or backyard? Perhaps you have your pilot’s license and could offer a short flight experience. Think boating, ballooning, ziplining, a limousine ride, the possibilities are endless. You may not be able to provide this service yourself, but would you be willing to purchase this item and donate it as an auction item? Event sponsor: For a minimum donation of $250 your business name and logo will appear in the event catalog and other promotional materials, as well as recognition from the stage during the live auction. Family Fun help: Part of this event will include family fun time. Are you a face painter and willing to offer your time? Could you set-up a fun photo booth? Is there a practical service you can offer to kids on the day of the auction? 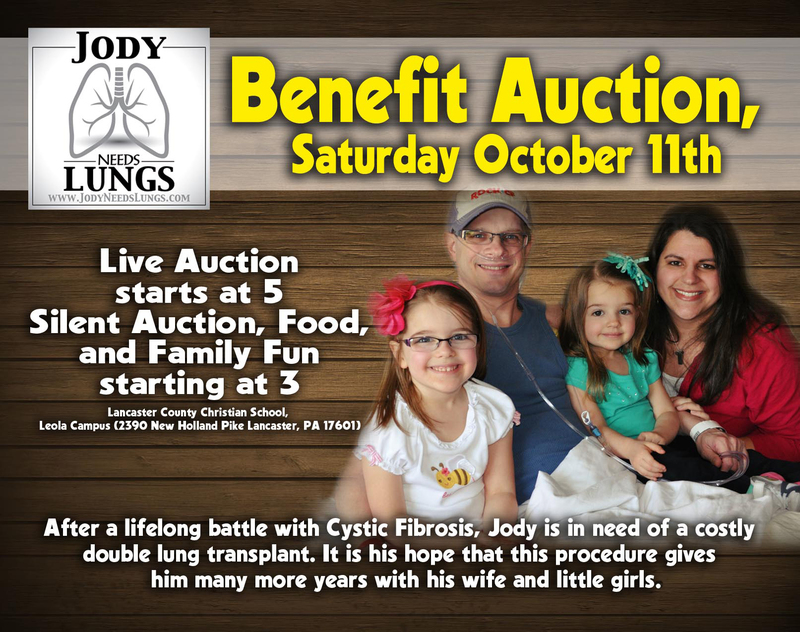 We are anticipating a lot of out-of-pocket expenses associated with Jody’s transplant and recovery so you can imagine we are hoping this auction will be hugely successful. In order for that to happen we really need your help. Please SHARE this event, and encourage others to attend. Additionally, if you know of someone (your boss, family member, or friend) who you think could donate something for the auction, please contact jamie@supportjody.com for an auction donation form. 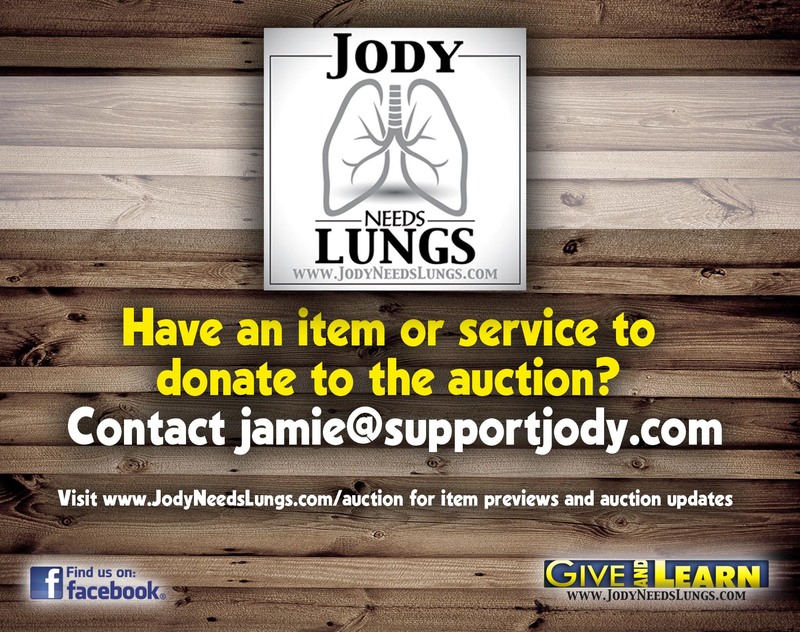 If you follow our Jody Needs Lungs Facebook page you will soon begin to see information posted on businesses and items that have already donated. This info will also be able to be viewed under the “Auction” tab on our website, JodyNeedsLungs.com. We are so thankful to each of these people and business who were touched by our story and moved to help. We hope you will too.